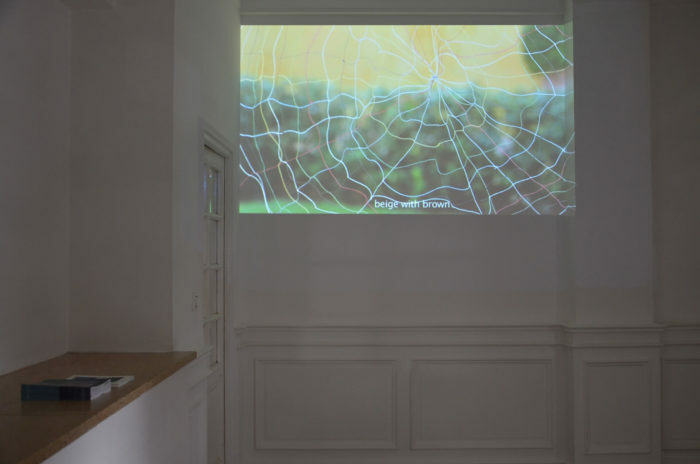 This exhibition at Le Cube – independent art room presents for the first time to the public the projects developed by Zainab Andalibe, Abdessamad El Montassir, Mohammed Laouli and Leila Sadel for Attokoussy. Attokoussy is a project of art and research, by Le Cube – independent art room, that opens spaces of reflection and expression in regard to the rituals and beliefs in Morocco. Rites exist in each culture, each social class, each geographical space and epoch, including the most contemporary ones. They defy time, vary according to cultures and religions, and are predominantly of unknown origins. The presence of these stories and rituals, inherent in all the regions of the world, is particularly strong in the mores and the dailies in Morocco. Orally transmitted, those practices constitute a rich intangible heritage and are constantly operating within the collective unconscious. 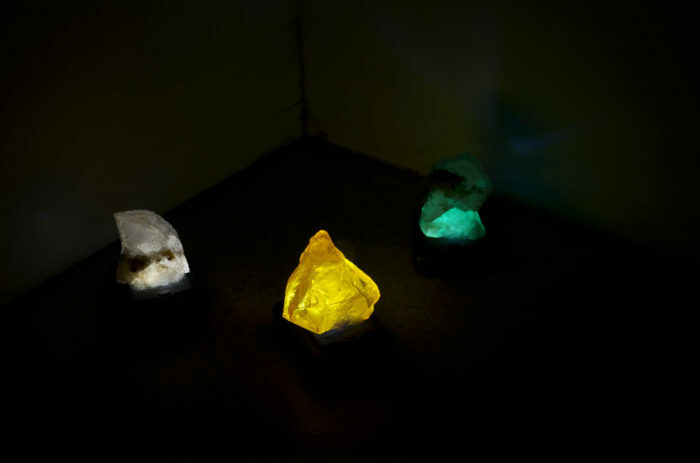 On the basis of these findings, Le Cube – independent art room room invited four Moroccan artists, Zainab Andalibe, Mohammed Laouli, Abdessamad El Montassir and Leila Sadel, to reflect together on themes related to myths and rituals, in order to develop endogenous and contemporary thoughts on the aforementioned subjects. This project was motivated by the need to propose new perspectives in regard to these themes, which have long been discussed and folklorized, but also to analyze their impacts and challenges in our current globalized societies. Being a primordial step of this project, a residence of research and production took place at the Maison Denise Masson, in Marrakesh. In a real dynamic of exchanges and collaborations, this work period allowed the artists to confront their points of view, share their experiences, nurture their project and refine their ideas. 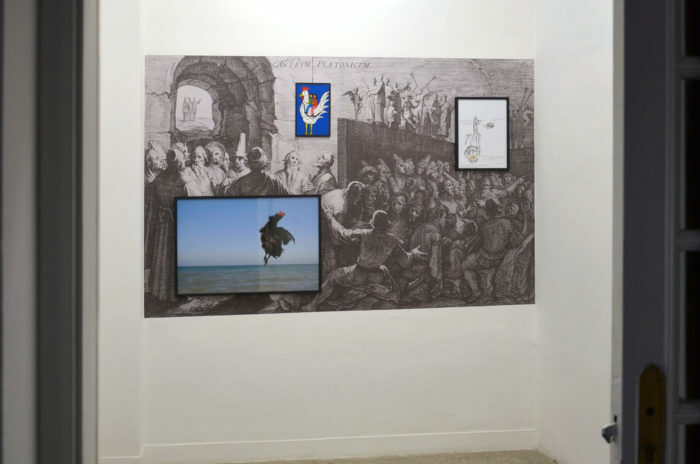 Besides, in order to initiate theoretical debates between contemporary artists and anthropologists, a series of conferences and roundtables with Thomas Fillitz, Monique Jeudy-Ballini, and Yazid Ben Hounet. As a direct follow up to the period of research in Marrakech, an initiatory presentation of the projects is organized at Le Cube – independent art room. The latter has not been organized as a fixed exhibition, but rather as an open studio during which the artists are encouraged to evolve and transform their projects in progress. Being an important research opportunity, this open studio is punctuated by a series of meetings, screenings, lectures and listening sessions – which are carried out in different contexts and geographical areas. This rich program opens spaces for exchanges between the public, the artists and the researchers, and invites everyone to compare their experiences and points of view in order to collectively extend the research undertaken by Attokoussy. In order to diffuse this research in different spaces and contexts, three exhibitions take place at Hinterland and Philomena + in Vienna, and then in the Biennale of Dakar as part of the project Invisible curated by Alya Sebti. These exhibitions present the exclusive projects specifically realized by the artists for the project Attokoussy. These political and poetic explorations of rituals lead to the generation of numerous layers of reading, which results into revealing the complexity of our contemporary societies. Taking form as sculptures, installations, videos, photographs, performances, sound tracks and drawings, these projects create links that connect stories, facts and events of the past and the present, aiming to illuminate and rethink the possibilities of the future. Thusly, the many proposals that make up Attokoussy evoke an infinity of symbolic and political associations, which the public is invited to observe in a kaleidoscopic manner, in the light of both, the present and the future. Attokoussy, vue de l'exposition au Cube - independent art room. Zainab Andalibe, "One story among others", vidéo, 2017. Abdessamad El Montassir, sans titre, installation photographique et néons, 2017. 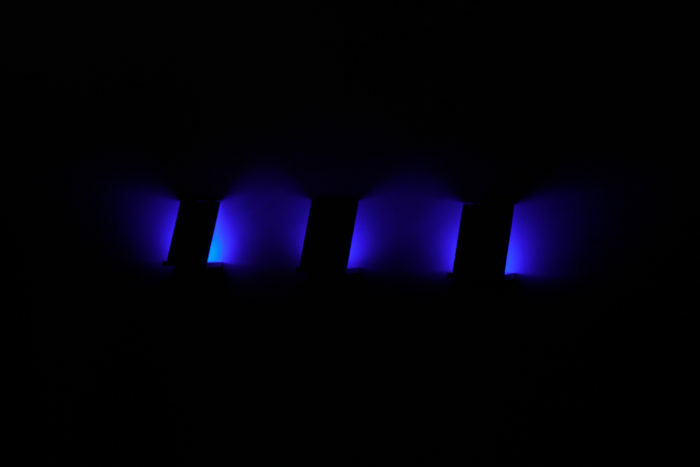 Mohammed Laouli, "Barouk", installation, 2017. Leila Sadel, "Ce qui est projeté", installation, 2017.